Hot Or Not Yoga has a variety of instructors from all kinds of backgrounds and methods so you can have a full experience of your yoga journey. They are vivacious, caring, grounded, and happy people that are waiting with welcome arms to share with you. Emily began practicing yoga about 15 years ago, becoming more devoted to her practice in 2014 when she joined Hot or Not Yoga. Originally interested in the health and fitness benefits, she quickly learned that yoga is more than just the poses. In 2015 she completed her 200 hour teacher training at Hot or Not Yoga under the guidance of Crystal Froberg and Jenn McConnell. Emily has taught a variety of classes including SUP Yoga, Ashtanga, Hot Power Vinyasa, Gentle Yoga, and Yoga Wheel Workshops. She truly believes that yoga is for every body and likes to teach a class that is both challenging and accessible for all levels. 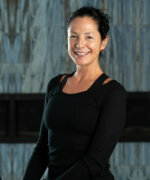 Sue Seiter, E-RYT 200, has been teaching yoga for over 15 years and is registered with Yoga Alliance. She also holds a Level 3 Yoga certification from AAAI/IMSA as well as Personal Training and Group Exercise certifications with AFTA. 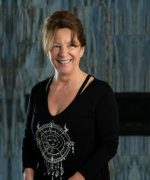 Sue teaches all levels of yoga with emphasis on connecting mind, body, and breath. Her belief is that Yoga is something you can do for a lifetime if you are taught the proper alignment and adjustments with emphasis on listening to your own body. Her goal for her students is to find balance, awareness, and peace through her teachings both on and off the mat. Sue is forever indebted to all her teachers and to her many students who continue to be her teachers as well. Dana Gan has been practicing yoga for over 20 years and is Yoga Alliance registered E-RYT, trained at EvenFlow Yoga in Red Bank. She fell in love with the practice after her very first class, but it was not until almost 10 years later that her practice began to benefit her in ways she never imagined. Dana firmly believes in the practice of yoga as a way to exhaust the body in order to relieve the mind. In today’s hectic world, it’s nice to find a way to quiet the mind and turn down the negative or overwhelming thoughts. Yoga teaches us how to access the tools we already have in order to heal our own bodies and minds and therefore, lead a more mindful existence. Dana discovered that with a vigorous practice, like her favorite Power Vinyasa, the linking of breath with movement would change her being. It taught her a new way to think, to live, and to love. Her greatest passion is sharing this love with you through the experience of Yoga. Dana lives in Lacey with her husband, stepson, two children and two Vizsla’s. She loves to spend time paddle boarding, surfing, biking and hiking with her tribe. Noticing all the positive changes yoga brought to life on and off her mat is what inspired Michelle to teach. She attended teacher training at Yoga Nine in Smithville, NJ with Laurie Greene and received her 200-hour teaching certification. 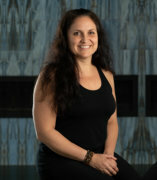 Michelle also has certifications in pre-natal and yin yoga. Michelle’s goal as a teacher is to encourage her students to use their breath and practice to achieve things they never thought possible. Michelle hopes to inspire students of all levels to challenge themselves to discover something new, and still have fun at the same time. Michelle is blessed with two beautiful daughters and the greatest husband on earth. She is grateful to all of her teachers an students past and future. Colleen has always found movement to be medicine, and has spent the majority of her life finding new ways to use physical activity to heal the mind, body, and soul. 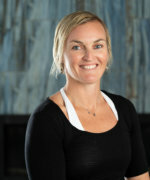 As a coach and athlete, she has firsthand experience of the mental and physiological benefits of an active lifestyle. The yoga practices offered a new perspective that crossed over into all the other parts of her life. On the mat is where Colleen came to realize the limitless potential behind focus, dedication, and self-discovery. Though Colleen has practiced various styles of yoga, Ashtanga yoga has become the backbone of her practice. The humbling sequence brings her to the mat day after day, and has transformed the inner and outer workings of her daily life through the years. The endless potential for growth, enthusiasm for the practice and recognition of the basic truths that the offer teachings have inspired Colleen to deepen her own practice and complete a 200-hour teacher training certification course with her teacher Loren Russo. After the illuminating experience with her fellow trainees, it is with great gratitude that Colleen has been encouraged to share the teachings of yoga, just as they have been so lovingly shared with her. This year marks Loren’s 21st year practicing this sacred art of yoga asana. Inspired from the first time she stepped into the Jivamukti Yoga Center in NYC back in 1994, each visit became an illuminating experience. From the dance of devotion and dynamic interplay of powerful asanas to the authentic teachers and celestial music, she knew she had entered a sacred place that felt like heaven. Her true blossoming emerged in 2003 when she attended the Jivamukti Yoga teacher training, and travelled to Mysore, India to study Ashtanga with Sri.K. Pattabhi Jois, Guru of the lineage. She has done 6 other teacher training over the years including Iyengar, Ashtanga Vinyasa, Vedic Studies, Yoga philosophy courses and classical Indian music. She taught Jivamukti Yoga and Ashtanga in Miami from 2004-9, and in Los Angeles from 2008-2012. In August of 2012, she went on an 8-month pilgrimage all over the country studying with many Spiritual masters and teaching kirtan workshops. For the past 2 years, she has been managing and teaching the Jivamukti Yoga School in NYC, Union Square. She is extremely excited to move to Long Beach Island and become part of the LBI yoga community. Rose has a tremendous adoration for humor and fun with her energetic personality! She grew up on the beaches of the Jersey Shore and admires nature, particularly the deep blue sea. Rose values family, friendship, laughing, but above all, self-care! The first day she went to a Yoga studio, she dove into an All level, Yoga Nidra, and Bikram style class within an 8 hour span, receiving all the benefits that Yoga had to offer. From there on out, attending a Yoga class was a time for internal inventory, seeking truth, and strengthening the body. Progressively falling in love with the practice, two years later she received her 200-hour teaching certification from Hot or Not Yoga in June 2015. In the meantime, Rose also became a certified Reiki Master and graduated with a BA in Psychology. Needless to say, she is interested in personal growth with respect to the educational and holistic approach. Depending on the nature of her classes, you can generally anticipate being challenged, receive Reiki infused adjustments, and end with a period of harmonious relaxation. Brittany’s yoga journey started in California seven years ago as a student. Instantly, she fell in love with the physical practice and the philosophical principals accompanying yoga. While in college at the University of South Carolina, Brittany got her first job teaching yoga at her school’s gym. This is where she spent two years learning to teach all level vinyasa style classes. After college, Brittany travelled to Thailand to continue her yoga journey as student and teacher. Christina Reese is a 200 hr registered yoga teacher with Yoga Alliance, receiving her certification at the Radiant Heart Yoga School, Beach Haven NJ under teachers Katie Ribsam, Crystal Froberg. & Loren Russo. Specializing in Vinyasa, Chair (Get Fit Where you Sit © ) & Yin yoga styles. Having taught predominantly in New Jersey since early 2015, she is excited to be sharing her passion for Yoga internationally. She enjoys combining a vigorous asana practice with yogic philosophy and slower, more meditative fascial release. Her goal in teaching is to create balance in people’s lives by holding space and cultivating silence. In the summer of 2016, she completed her Reiki I & II training under Malia Murphy using her energy & light for the healing of others. Continuing her education, she enrolled in a 100 hr. Yin yoga certification, under Ryah Dekis of Unravel Yin Yoga School. She is also certified in Veterans Yoga Project, Restorative Cancer Yoga© and Breast Cancer Yoga & Beyond© With her well-versed yoga education, you can expect meditation, pranayama, reference to the yogic teachings and use of mantras. Be ready to laugh, smile, discover, and most importantly have fun! Christina hopes that through yoga, she can help others to return to a natural state of happiness and true bliss! 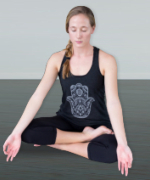 Katie began practicing yoga during her freshman year at Duke University. During a time of many difficult transitions, she needed something that would not only take care of her body, but most importantly, her mind and spirit. After attending a hot yoga class with a friend at school, she was hooked and spent the next year going to classes almost daily while in North Carolina. This led her to complete her 200-hour RYT training at Hot or Not Yoga, the studio that has truly become home. Katie truly believes that yoga has allowed her to become the person she is today. It has inspired growth and resilience in her, and hopes it can do the same for others. She hopes to provide a welcome environment for all students to let go of their day and make time for themselves. Her goal is to make sure all her students get what they need from their practice, and to feel better than when they walked in. Katie is excited to be teaching at the studio that allowed her practice to flourish, and hopes her students find that same experience in her classes. A few years ago I found the practice and the beauty of Yoga at home and It became the most important aspect of my life, and I became fully dedicated to it. In February 2017, I completed my 200-hour teacher training through Bodhi Yoga Academy under the teachers of Samantha Vetrano and Tess Mcdaniel. Not only did it deepen my own practice and knowledge of Yoga, it also changed me as a person. Someone who battled with anxiety and depression and always doubting herself has found her voice and confidence. My goal as a teacher is to have students understand their own mind, body and breath, let go of their insecurities and self doubt, and find their voice on and off the mat. Heather tried yoga for the first time at age 36 as a counter balance to an active lifestyle including being a wife, business owner, mom of three and long distance runner. She fell in love with the physical exertion and mental calmness she experienced after her first class. 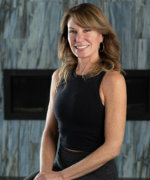 What she didn’t know then, was how greatly it would change not only her physical body but also lead her to experience the transformative power of connecting the mind, body and soul. At age 40, she decided to deepen her personal practice and share her love for yoga by completing a 200-hour YTT through Liquid Bliss Yoga in Harvey Cedars, NJ and studied under her teachers, Kevin Corey and Jenn McConnell. Through yoga, Heather has experienced personal development and healing that she never thought possible and is excited to share this passion with her students. Through thoughtful classes in a variety of styles, she hopes to guide her students to discover the confidence, inner peace and joy that yoga has given her. Brianna is a dedicated ashtanghi with a committed daily practice. Using the traditional Ashtanga sequence as a guide Brianna offers classes for all levels and shares her passion for the practice in every class. She is confident that if you practice, you will progress. Brianna has travelled to practice with many renowned teachers and studies closely with her teacher Loren Russo. The healing & transformative power of asana and anatomy is compelling on so many levels; studies of the brain ‘on yoga’ and how it impacts our behavior, allows us to explore emotions, and experience ourselves and the world, never ceases to amaze me. I love the science of yoga and learning more and I am inspired by all those who are also interested. I never asked why; I loved the way I felt practicing yoga, I loved how calm & centered I felt. I don’t think I was even particularly ‘mindful’ about it, it just became a habit that I scheduled daily—no matter what—I could not live without. I did not fully consider the initial impact of my yoga practice; it was…personal, my yoga. I didn’t want to analyze nor demystify it. I was committed and that was that. Now I am grateful for opportunities to share my 20+ years of passion for yoga, culminating in my certification at Kripalu (my retreat for many years). I lived and studied for over a month there with teachers Yoganand Michael Carroll and Kari Harendorf where my full immersion transformed me. The practice continually inspires; it amazes me, all that I learn through teaching yoga, about my students, myself and life. Discovering the power of yoga has truly transformed my mind, body and spirit. I have faced many challenges a business owner and lifelong animal advocate. Yoga has been the tool that has given me strength, courage and patience both on and off the mat. It has improved all aspects of my life. I had the privilege of studying under Loren Russo at Hot or Not for 200 hr teacher training. A life altering journey that has set me on the path to share these ancient, profound teachings with others. I am forever grateful to my teachers and will always be a student of this divine practice.